Celtic extended their unbeaten domestic run since the start of the season to 31 games with a comfortable 2-0 Ladbrokes Premiership win over Motherwell at Parkhead. After early huffing and puffing striker Moussa Dembele, who had scored hat-tricks in his previous two outings, opened the scoring from the spot in the 33rd minute with his 27th goal of the season. Midfielder James Forrest added a second five minutes from the interval and after a similarly one-sided second-half ended with no more goals, Brendan Rodgers' side moved back 27 points clear of Aberdeen who play at Kilmarnock on Sunday. Celtic have only dropped two points - away at Inverness - this season and even far from their best they look as if they will take some beating as they motor towards the domestic treble. Well boss Mark McGhee, on the other hand, will be glad to have emerged relatively unscathed after their 7-2 thrashing against Aberdeen at Pittodrie on Wednesday night, when he found himself sent to the stand. Rodgers made only one change to the side which beat Inverness 6-0 last week with stopper Jozo Simunovic in for Erik Sviatchenko who dropped to the bench, joined by midfielder Stuart Armstrong who returned from a hamstring injury. Motherwell striker Scott McDonald returned from suspension and Craig Clay came in but McGhee had to change his plans when left-back Steven Hammell pulled up in the warm-up, replaced from the bench by former Celtic defender Joe Chalmers. However, there was no expected Parkhead blitzkrieg. 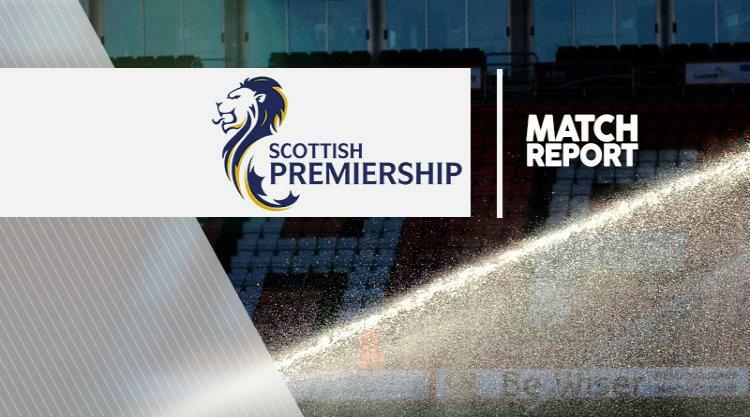 The Hoops had the overwhelming majority of possession but their first chance did not arrive until the 24th minute when midfielder Liam Henderson knocked the ball past the post from eight yards, after Well keeper Craig Samson had parried an angled-drive from Forrest. However, all Motherwell's good defensive work was undone by a tackle by Jules on Dembele, which allowed the former Fulham forward to open his account for the afternoon by sending Samson the wrong way. In a quick-fire response, Well striker Louis Moult reached a Chris Cadden cross but his back post header went behind and then Parkhead keeper Craig Gordon had to make a good save from a close-range effort by Stephen Pearson, yet another former Hoops player, after he had been set up by Moult. However, that turned out to be only a moment of defiance and Forrest, after taking a Dembele pass, made it 2-0 when he turned Chalmers inside out before drilling a shot from 16 yards past Samson and in at the far corner. Armstrong replaced Henderson for the start of the second half and within minutes Samson's hands had been stung by a long-range drive by Nir Bitton, before Dembele fired wide from 16 yards. Wave after wave of Celtic attacks continued but with much less zeal than normal.. Hoops winger Scott Sinclair blazed a Forrest cross over the bar before skipper Scott Brown came close with 25-yard drive. Celtic's tempo dipped in the final stages, understandably. With eight minutes remaining Pearson scooped the ball over Gordon's bar from six yards but by that time the home side were cruising towards the final whistle.